Go on a romantic day trip in MO for a special day with your honey. Only the most romantic places can provide for a special romantic getaway in MO. We have a list of some of the best places for romantic day trips in Missouri. 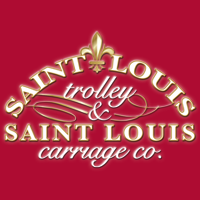 Saint Louis Trolley and Saint Louis Carriage Co. If you look for a romantic adventure in Saint Louis then you must try a carriage or trolley tour offered by the Saint Louis Trolley and Saint Louis Carriage Co. facility. There are 7 trolleys available that can have between 25 and 30 passengers on board and 10 carriages that can carry between 6 and 26 passengers at most. There are 7 beautiful horses available to pull the carriages. A carriage can be rented every evening with no reservation and a carriage tour can last anywhere from 15 to 60 minutes with prices varying from $30 to $95. 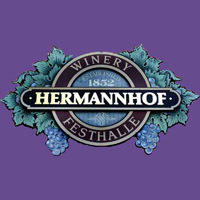 If you like wine you'll like visiting a winery near Saint Louis, like the one at Hermannhof. The cellars here were built in the mid-19th century and currently they are a National Historic Place. The winery has an inn as well, that uses historical looking inside decorations with very modern amenities. The winery here can be visited every day of the week between 10 AM and 5 PM, but on Sundays it opens at 11 AM. There is no better place to spend your day in summer then by taking a trip to the small city of Kimmswick, MO. 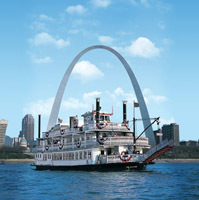 The town was founded in 1859, and is now a relaxing place for every couple who wants to do some Missouri sightseeing. Kimmswick is a great place for eating, buying antiques, cave diving and enjoying the scenery. The city features well-known restaurants where you can taste the baked goods and Missouri dishes. Both you and your significant other can sit back and enjoy being pampered while listening to music at the Fleur de Lys Mansion. This luxury inn is located in downtown St Louis but feels more like a different world. You will not be disappointed if you take the entire day off and enjoy a spa session for 2, or a relaxing massage in a Victorian setting. The Fleur de Lys Mansion also offers romantic carriage rides. A romantic day off will not feel the same without a visit to some famous wineries such as the Chandler Hill Vineyards in Defiance, MO. This fun and romantic place is visited by thousands of Missouri couples who want to experience a peaceful atmosphere while enjoying a bottle of wine. The Chandler Hill Vineyards is located about 30 miles away from the city of St Louis and is the ideal place for an afternoon off. Visit the Forest Park located in St Louis and your significant other will never forget the experience. The park features amazing scenery and plenty of things to do for any couple who likes the outdoors. You will get the chance to take a romantic boat ride for couples and visit the 2 famous museums: the History Museum and the Art Museum. You can also have a picnic in the park while walking around in the nature. The Creve Coeur Lakehouse in St Louis, MO will allow you to spend the day with your significant other in a romantic setting. The restaurant is located on the Creve Coeur Lake, a touristic attraction with a romantic touch. You can take a look around and have a picnic at the Creve Coeur Park if you visit in the morning. The place is open every day from 11 am and up to 11 pm. Live music concerts take place every weekend in the summer. The Black River in Lesterville, MO is a great place for a getaway and enjoying the nature in a romantic but natural setting. Located about 100 miles away from St Louis, the area features many attractions and interesting things to do such as attending weekly music festivals in summer, biking and hiking in the mountains and taking float trips on the river. At the end of the day, you can relax in an outdoor bathtub with your partner. 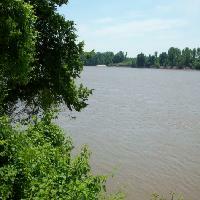 Rocheport, MO is a small town that any couple will enjoy visiting on a romantic day trip. Rocheport was established about 150 years ago and is rich in history but a peaceful and secluded place for couples to enjoy. The city features interesting things to see like The Sleepy Hollow Art Gallery and the Friends of Rocheport Historical Museum. If you want to buy gifts, visit the Richard Saunders Shop where beautiful antiques and jewelry can be purchased. Visit the city of Hannibal, MO for a romantic day trip with your partner. The Garth Mansion is located about 40 minutes from the city and is the perfect place for a quick getaway. The mansion is a Victorian home where Mark Twain used to stay when he needed inspiration. Nowadays the mansion receives guests from all over Missouri but has remained a secluded and private place. The Garth Mansion features original antiques and artifacts.